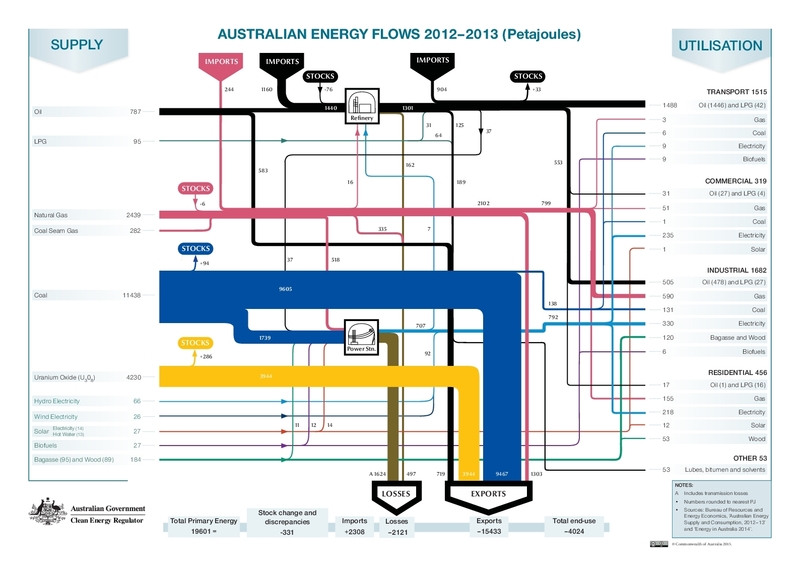 After posting on Australian Metals Flows yesterday I realized I had never presented a Sankey diagram for energy flows in Australia. One can really say that Australia is mainly exporting its energy. Flows in Petajoule (PJ) for the year 2012/13. Older energy flow diagrams available in the Australian Atlas of Minerals, Resources and Processing Centres here.